The Africa Enterprise Challenge Fund (AECF) offers grants and interest-free loans to businesses in Africa that are engaged in sustainable agriculture, renewable energy and adaptation to climate change, and financial services. AECF aims to leverage private funding as a complement to donor funding for commercially viable projects in the Fund’s program areas. Support for enterprises in Sub-Saharan Africa. The AECF manages funding competitions (i.e., “Funding Windows”) that are open to for-profit private companies which are starting — or intend to start — new business ventures in Sub-Saharan Africa. The Funding Windows are defined in terms of economic sectors (e.g., agribusiness, renewable energy, and rural financial services); specific countries; and unifying themes (e.g., funding in Africa’s post-conflict countries). Each competition has its own objectives and criteria. 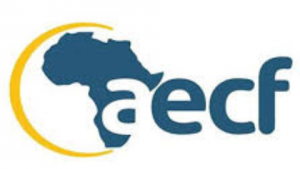 The AECF accepts proposals from private-sector entities in Africa and worldwide for business ideas that will be implemented in Africa. The AECF awards a minimum US$250 thousand in combinations of grants and repayable grants per business plan; the maximum amount is US$1.5 million. Note: AECF makes exceptions to this range in some Funding Windows. APPLICATION: AECF announces business competitions on its website. Applications for funding follow a two-stage process. Companies wishing to apply in a particular competition submit an initial application to AECF before the specified calendar deadline. AECF reviews the initial applications. The leading ones are selected for the second stage of the competition. In the second stage, AECF requires a full business plan. During this stage, AECF visits the applicants to offer guidance. The final business plans are presented to an independent committee for funding decisions. AECF provides data about its portfolio of projects. Contact AECF offers complete information. The AECF is a partnership initiative of the Alliance for a Green Revolution in Africa (AGRA).